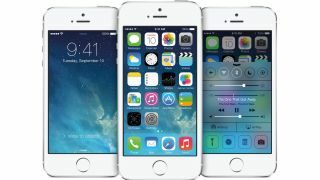 After months of iPhone 6C rumours, the latest leak suggests that Apple's cheaper alternative to the iPhone 7 will be called the iPhone 5SE, an upgraded version of 2013's iPhone 5S. Now we might have the first photo of the device in the flesh, placed beside an iPhone 5 for scale. If the picture is legitimate the 5SE will be a smaller iPhone (it looks like a 4-inch screen), with rounder iPhone 6-esque edges and TouchID at the bottom for better security. It looks like the phone will inherit a few other iPhone 6 design features too, such as the relocated sleep button and rounded volume buttons. The source, who posted the photo to the One More Thing forum, does have some credibility, having previously (and accurately) leaked the iPad Air 2 display technology and the original iPad Air design. The fact that this photo matches up with the recent iPhone 5SE info dump, reported by 9To5Mac's Mark Gurman, adds strength to the claims. As 9To5Mac also reported on the above photo, we assume it has Gurman's stamp of confidence. Going by what we've heard, we're expecting a March release date for the 4-inch iPhone, which is also expected to pack a 8MP rear-facing camera, 1.2MP front-facing camera and NFC sensor for Apple Pay.